Berkshire Hathaway's latest 13-F filing shows Warren Buffett was unusually active during Q4 as the billionaire investor rushed to take advantage of the volatility in markets to buy into banks and insurers that he has long had his eye on, in keeping with Buffett's famous maxim: "Be fearful when others are greedy and greedy when others are fearful." Buffett continued to bid up bank shares, making his Omaha-based firm a major shareholder in four of the five largest US banks. This includes increasing stakes in JP Morgan and Bank of America during the last three months of the year. Buffett also boosted his stakes in regional lenders like PNC Financial Services Group and US Bancorp which may have been plays on consolidation in the industry (a trend that is starting to play out following the recent BB&T-Suntrust deal ). And while bank stocks have rallied during the opening weeks of the year during one of the biggest market rebounds in recent memory, Buffett unexpectedly cut his stake in Apple. Maybe after all of the evidence that surfaced about the iPhone's struggles in China late last year, as signs that the latest batch of phones weren't selling as well as the company had anticipated forcing Apple to slash prices on its premium products in China for the first time, the legendary investor has finally changed his mind about the iPhone being "enormously underpriced." That, or as in the case of IBM, where Buffett only dumped the stock after the company's stock buyback machine ground to a halt, perhaps Buffett expects Apple's to follow suit and in light of the political blowback against repurchases, he is getting out quietly while he still can (not when he has to). Berkshire reduced its Apple stake by 1% as the company's shares plunged 30% during a quarter that produced its worst holiday sales in years (though the stock has since seen an 8% rebound). The firm also counted Redhat as one of its largest holdings during the quarter, though it's unclear whether it bought the shares before or after news of IBM's acquisition sent its stock up 45%. The firm invested in Red Hat after it sold out of its IBM stake earlier in the year. Meanwhile, in another notable move, Oracle shares dropped in after-hours trade after the 13-F showed the other Oracle (of Omaha) had exited his stake in the database software provider. Berkshire’s romance with Oracle was short-lived. After taking a $2.1 billion stake in the software firm in the third quarter, Berkshire had sold out by year-end. 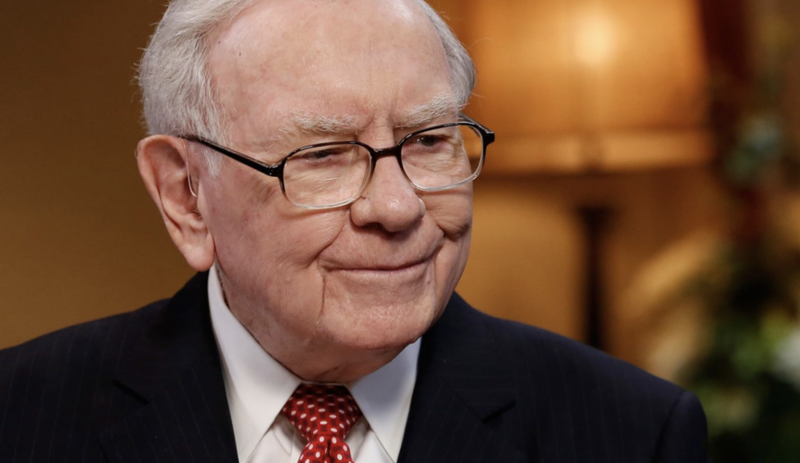 Buffett has typically taken a more cautious approach to technology companies, given his lack of familiarity with the space. Added to its holdings in JPMorgan Chase & Co. Decreased its stake in Apple Inc. US Bancorp, Bank of America Corp.